What happens to your business if something happens to you? Do you want to leave your future and your business' future to chance? Let's discuss your practice disaster recovery plan for natural disasters, fire, frozen pipes, tornadoes, hurricane, meltdown of email system, flu epidemic, negative publicity or violence in the workplace, key company people dying in a plane crash, water contamination, etc. .. The list just goes on and on. Prepare for safety with a plan for prevention, preparedness, response and recovery from a disaster. You have to ask yourself, how safe is my computer information? 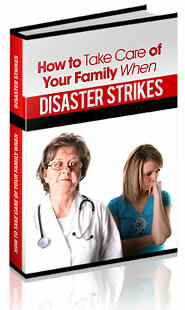 How do you handle every day potential disasters like IT breakdown, sick staff or crime? The truth is that your staff is expecting you to look out for them and will look to you for leadership in the event of an emergency. You are your business if you are a small practice owner. You have an investment of time, money and passion. You may need to do something special for your employees to make sure they do not leave you for the competition. If your key employee (s) leave you are they going to ruin your life? What if your employee who runs your office, leaves and goes to work for your competitor. Where does that leave your business? What if they are out sick? Do not leave anything to chance. Get a non-compete agreement when you hire them. Written desk procedures should be in place for temporary workers so they know what to do in the absence of key employees. You can put together plans that make it very attractive for people to stay with you. Identify who your employees are and what they are worth. Put a dollar value to these employees and understand what they want and need and figure out if at all possible a way to recover the cost. A good incentive plan will help you get the most out of your employees. You can make your incentive plan reflect greater rewards over time so that your employee will stay with you longer. Try insurance products and split dollar incentive plans where you and your employee share the costs of an employee incentive. Lets focus on the economy, today people bought homes that have no value. The recession we're in means that no one is spending. The baby boomers that drive the economy were not buying much anymore and the economy is gone down as a result. By knowing the road ahead, you can navigate successfully. Understand a balance sheet, understand a financial statement, know where your money and time go and innovate. After you've decided on your course of action, take action and believe in yourself because how you think and your thoughts make your reality. You would be wise to not buy real estate right now and put it off until 2015 when housing prices will be 25% less than they are now (2011). Buy gold directly and store it or buy from a gold depository where they can house it for you and you can get it at anytime. Also, buy currency such as Canadian dollars, Swiss francs, the British pound or buy ETFs in UDN which are currencies which are traded against the dollar. You retain the profit. Fortunately, you're already in one of the best industries, healthcare. Wise stock investments would include commodities like rice and if you're in a rural area you would do well to learn how to farm. Start additional businesses in other areas such as governmental services, education, and utilities for multiple streams of income. What will change? Will you be able to accommodate them? Will you send an email out to them? Will you offer them similar services at a discount? Will you do better because of out-of-network benefits? EMR and Meaningful Use is currently subsidized by the government but in the future it will be mandatory and you will be penalized for not using electronic medical records. This is the best way to keep your medical records. Paper records can be damaged and lost easily, whereas scanning and uploading them online to an EMR is infinite and eliminates an in-office disaster. Due to these greater efficiencies cloud computing has become hugely popular. The computers in your office are just tools. If they crash for any reason, it is usually fixable but if you keep any data on them you have to back it up each day. It's best to keep your computers empty and your files on an external hard drive. In your office you may need to recreate computer stations, networks and operating systems in the event of a disaster. The best way to do this is to keep all of your software in an easy grab box and to have a large hard drive with all of your "set-up" or .exe files for software you've downloaded or do not have a disk for. This way if you encounter a virus, you can just reinstall quickly without much downtime. If your emergency is greater requiring you to move locations, you'll need to know where you're going to set up shop and how you can get additional computers. You can either borrow them or buy new depending on your personal situation. This is the type of scenario you must prepare for your disaster recovery plan. Ask friends and associates if you could use things they have, extra computers, space, staff, etc … until you get everything sorted out. Can your employees work from home? Can you borrow medical equipment? You want to set up direct deposit for all employees on your payroll so that you do not have to go back to the office to write them a check so things run as smoothly as possible during your crisis. Get back up vendors when your regular suppliers can not supply you. Keep contact information on your staff, patients, vendors and anyone else you do business with. You should be able to quickly send a bulk email to all of your patients to update them. Multiple federal grant programs are available because multiple federal agencies will have a role in disaster response. Some programs are HPP (Hospital Preparedness Program) and MMRS (Medical Metropolitan Response System), the Department of Transportation has grants for EMS and they exist within your communities and are easy to apply for due to government concern that money is quickly distributed to the state and local levels. The government expects to have this perfectly coordinated by 2012. The government urges new health officers to get your medical security clearance to be prepared and not to wait. You are also encouraged to join their pipeline which is a method to send information to health officers faster than getting the news from the press. DHS coordinates and integrates data on the state and local level and they look for pathogens of interest which may pose a threat via biosurveillance. DHS works with FEMA and practice for emergencies. The exercises are held in each of the ten FEMA regions. You may have seen the caged air testing units on Manhattan streets which test the air quality. Minimizing the outcome of a disaster means that you have to look at potential problems. Find a project team, someone to control the project and people to push it forward. Plans start with top-level commitment so all key players should be involved which include partners, management, IT professionals and HR members. If your practice is small, your project team may just be you and your partner or your wife or husband. Developing a plan is a 3-4 month process. You must commit to your plan with a budget allocated to it and make it a commitment in your organization. It must be a priority. This is a new task in job duties and should be part of the daily routine. After you've prepared it, have it reviewed by a professional, see if it makes sense to someone else. After you've written your plan, you must discuss it with all members of your team and staff and practice it, review it and update it regularly. Click here for more information .